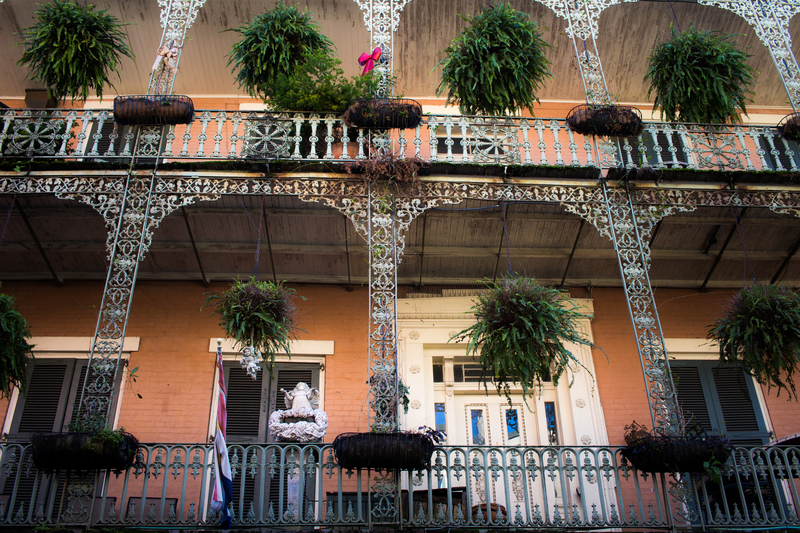 The following post is a continuation of the New Orleans: Sensuous City. After the music, there’s the food. I ate very well in New Orleans, but I would put the blossoming food scenes in Baltimore and DC right up there with the meals I had in New Orleans. I had a great gumbo at Coquette. Our best meal was probably at Peche, a fish centric restaurant where I discovered what shrimp can taste like at their absolute best. There are also creative food explorations that we enjoyed…the Caribbean/New Orleans fusion at Compere Lapin or the modern Israeli cuisine at Shaya were definite highlights. And I love my beignets. Cafe du Monde…late at night…after the jazz clubs…fluffy pillows of sugared heaven to take you to happy dreams. But skip the hot chocolate there…it was a watery powder-mix homage to what hot chocolate should be. My mouth is watering! I think I might have stayed in that hotel once! It was absolutely lovely!